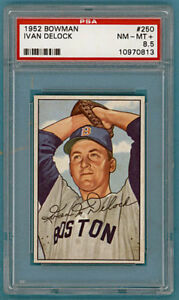 Details about 1952 Bowman Ivan Delock – #250 PSA 8.5! Red Sox! POP 3! 1952 Bowman Ivan Delock – #250 PSA 8.5! Red Sox! POP 3!